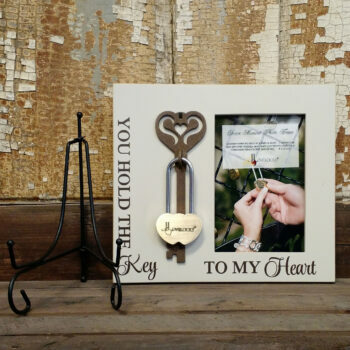 The Key To My Heart Declaration Plaque is a great way to personalize weddings, anniversaries, memorials and any occasion gifts. More and more people today are choosing to do more than what is considered traditional. 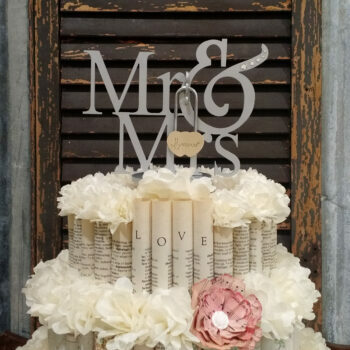 Families and friends are looking for unique ways to customize their moments of choice. 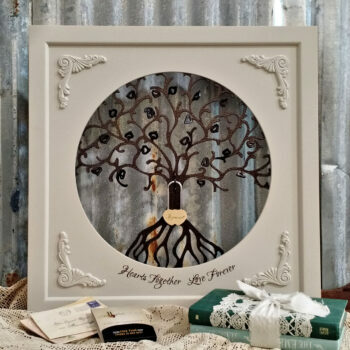 This beautiful wooden sign is wonderfully distress with various shades of cream, brown and duck egg. 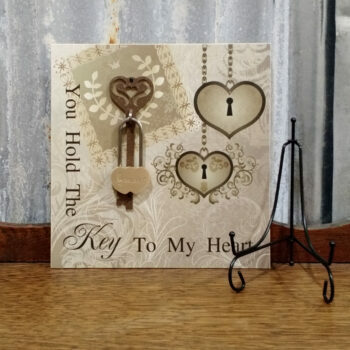 The words (You Hold The Key To My Heart) are beautifully written in truffle brown script. 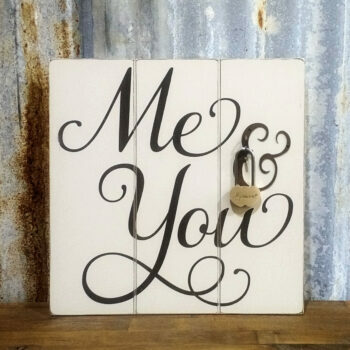 Decorative metal hasp to affix a Lovelock. 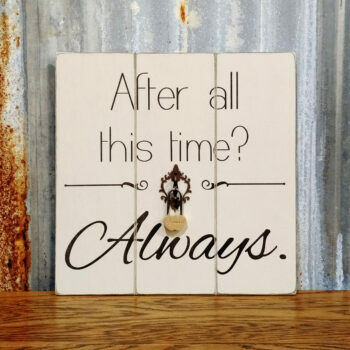 The After All this Time? 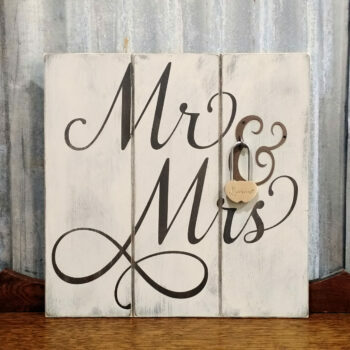 Always rustic wood sign is a great way to personalize weddings, anniversaries, memorials and any occasion gifts. More and more people today are choosing to do more than what is considered traditional. 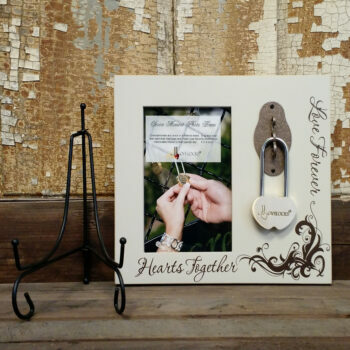 Families and friends are looking for unique ways to customize their moments of choice. 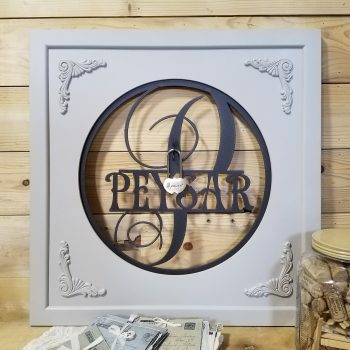 This beautiful wooden sign is wonderfully distressed with various shades of cream and brown. 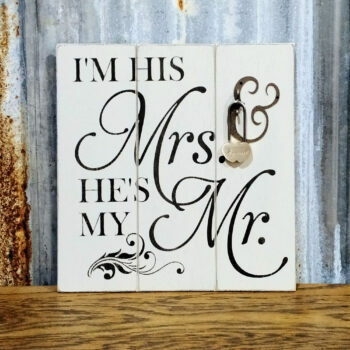 This keepsake adds a sharp dose of personal style to your wedding ceremony, wedding cake topper and home décor’! 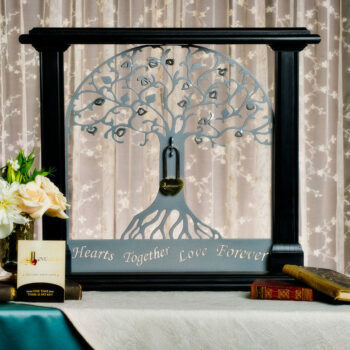 With its distinctive design, this personal Lovescape elegantly accentuates any color scheme or decorating theme. Expertly crafted, this powder coated aluminum design offers a sleek, modern look to any décor’. Embellished with five crystals.